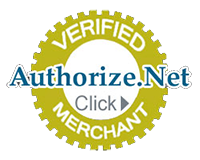 If you provide us with your credit card information during the payment process, we send it to our compliant payment gateway for processing using SSL encryption technology. Your credit card information is never stored for use beyond your current transaction. To protect your personal information, we take reasonable precautions and follow generally accepted industry practices to make sure it is not inappropriately lost, misused, accessed, disclosed, altered or destroyed. Your personal information is protected by your password – never share this password with anyone. Life’s Balance Enterprises LLC will never contact you to ask you for your password.